Congratulation, someone you know loves anime! On top of that, they can't get enough of the collectibles. What better way to surprise them than to get them something anime? "Oh hey, that robot look so badass and it's anime, I think he'll like it!" Slow DOWN! You can't just randomly go buying something anime because it's looks anime!!!! What's wrong with you?! I wouldn't buy you 50 Shades of Twilight Games just because you read books. Studio Ghibli Movies - Most anime fans will enjoy at least one Studio Ghibli movie. If they haven't watch any of them, then that may be even easier for you. If you're budget isn't too big, then buy the US version from Amazon. See below on what's available in the US. If your wallet is big, then import them from Amazon.co.jp. There is a larger selection. So please use this guide to help determine the difference. And here is the guide with the full list. I recommend Princess Mononoke and Pocco Rosso from the Japan list. So if you're importing from Japan, please expect shipping to cost around $20. It will go up based on the number of items. Also, it takes 3-4 days to arrive. For more information about Imports, please go to the end of the guide. So let say, you know what their favorite genre is and wish to narrow down closer to what anime series you should buy, you're in luck! Using the search feature on AnimeNewsNetwork, and setting it for series that are license in the US, you can narrow down to what he or she may like. But where can you buy these anime blurays and DVD? RightStuf.com and Amazon.com are your friends. For the Model Kit Fanatic - You've been to their house, you've seen their room, and you've seen all those robots, cars, and ships they've built. Getting them another kit is the right thing to do because friends support friends and their addictions! Before you pick, try to find out which Gundam series is their favorite, it will make it a lot easier to narrow down a model they may like, and double check their collection. Non-Grade - These are not very detail and can range in sizes 1/144, 1/100, and 1/60. However this may also include the SD Gundam which are chibi version of their original counterpart. Wait, what does the size even mean? Glad you've asked. These are the scale compare to the Gundam as if they were real. 1/144 - About 5 inches tall. 1/100 - About 7-8 inches tall. 1/60 - About 11-12 inches tall. High Grade - These are most inexpensive and often lacks the detail as the other grade model. Most of them are in 1/144 flavor but sometimes 1/100. Price will range from $10-$30. Real Grade - This is what I recommend if your wallet is thin. The model comes in 1/144 but unlike High Grade, the level of detail is much higher and is more difficult to build. Price ranges $25-$45. Master Grade - If your wallet is fat, then this is what I would recommend. Master Grade comes in 1/100 and is far more detail than both HG and RG. However, I would say it's easier to build than RG due to the larger size pieces making it easier to hold. The price range here can vary greatly based on popularity, $30-$120. Perfect Grade - If you owe them greatly, then Perfect Grade it is! These come in 1/60 and very limited in selection! So be sure to know them well before picking as your choices are limited and they may not like any of the current PG models. Prices range from $200-$400. Gundam Model Kits aren't the only type of kits. There are battleships, race cars, sports car, tanks, airplanes, jets, and mechas from all other series. Be advise, those kits tend to be less beginner friendly as Gundam Model Kits. Modeler's Side Cutter - A helpful tool to help snip those plastic pieces off the frame. Basic File Set - Removing those pieces from the frames leaves unwanted extra plastic. These filers will help file those away. X-acto Knife - This tool is essential from making the perfect cut. And of course paint. But I wouldn't recommend paint only because someone may never need that color unless it's called upon. So get them a white primer instead. So where can I buy these kits and tools? Check out your local hobby shop if you're in a rush but expect higher prices. Stocking Stuffer Collector - I don't advise buying small little items and blind boxes online since shipping often makes it hard to justify buying a $5-$10 figure. But if you insist, check out Amazon.com and HLJ.com. If it's a Final Fantasy fan, check out Square Enix Store. Like always, please know in advance what series the receiver likes. It's best to go to your local Hobby/Comic Book shop and check out their selection. HOWEVER! There are other small collectible items that you probably won't find in stores and if you're going to buy a bunch of them, then it makes sense to buy online. Earphone Jacks- The last few years for smartphone, it's been all about cases. Well, it's boring now. So what's next? Earphone Jacks, serves as great lint protector and the ability to accessorize your phone! So where can you buy some? Crunchyroll.com - Just search up Earphone Jack. This is the quickest and safest route if you're in a rush. Amiami.com - Search up Earphone Jack and you'll have an even larger selection. Please refer to the end of the guide in regards to importing. The PVC/Figure Waifu Collector - This one is a challenge. 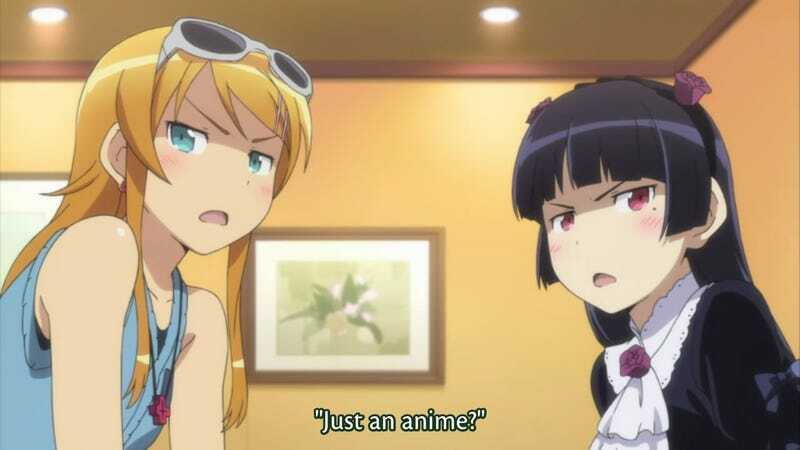 I recommend avoid unless you're into anime yourself well enough to understand what series they really love. In case you're not well verse in PVC and figures, here are some information to keep in mind. Joints - Not all figure collectors like joints. But these are highly pose-able. PVC - They are pretty much statues. Anything of quality will be expensive. I recommend the following brand since their works tend to be more top notch - Alter, MaxFactory, GoodSmileCompany. Always find out what recent anime they love watching, finding figures for older series will be difficult and often with high resell price tags. Ordering online is cheaper but may not be worth it if you're in a time crunch. Check your local hobby/comic store. Currently the Yen to USD is about 100:1. So if something is 1,000 Yen, that's $10 USD. If you pay with credit card, there is likely a 3% fee (check your CC rates) on top of the total with shipping. Shipping will vary based on the size of the box and weight. The bigger and heavier, the more expensive. Adding additional items will only increase the cost of shipping by a little. So if you get let say 1 gundam kit, chances are it's going to cost about $10. But if you get 2, it will jump up to around $12 - $16. Then there is the type of shipping. EMS is the fastest and most costly. And if you order a lot in one shipment, this is the only option. Also, there is tracking. Expect around $20. Takes about 1 week. SAL register is about half the price of EMS. Also has tracking and insured up to $60. For a figure/gundam kit, expect around $10. Takes normally about 2-3 weeks. Then there is SAL unregistered. About $3 cheaper than SAL registered. And a few other small option if available but not worth mentioning. Most Japan order sites will only ship when everything is in stock (if you group the order for the same shipment). Otherwise, you will have to separate the order meaning, you will pay at least $10 for each shipment. It's always wiser to order everything together. So let say you try to order something that's backorder/preorder with something that's in stock. No good. You either wait for everything to be in stock at the same time and add it to your cart or make separate orders. In most cases, AmiAmi usually has items cheaper than other sites but they are not as well stock as HLJ and tends to constantly have many newest/popular items on backorder.